About Quest Tours and Treks Inc. 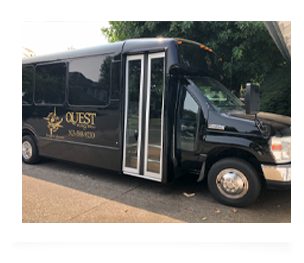 Welcome to Quest Tours & Treks Inc.
To give those who tour with Quest Tours & Treks Inc. a rich travel experience filled with joy and laughter by which life long memories and friendships are made. 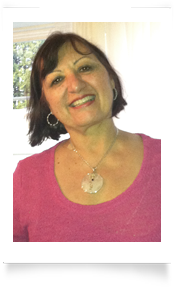 I am Sylvia Spaulding, the owner and president of Quest Tours & Treks Inc. I graduated in 1996 as a Tour Director from the International Tour Management Institute, Inc. in San Francisco, California. Since then I have done extensive tours in the U.S. as well as International tours. considerably. I not only know what it means to be compassionate to those in need, but also how to work with travel suppliers when these special needs are required. This is what brought me to work within the travel industry - my own personal experience in finding solutions and not limitations. I started my own tour company because I love caring for people. I love seeing that smile of joy on their face when they have experienced a great time or have seen and done something new on one of my tours. I delight in being able to share my travel knowledge with someone who is a well seasoned traveler or with someone who may be taking their first tour. You will be traveling with people who enjoy meeting other people and experiencing new adventures. I thoroughly enjoy putting the tours together. That includes research of the areas you will travel to, making sure that everything is done beyond your expectations and personally attending to your every need. 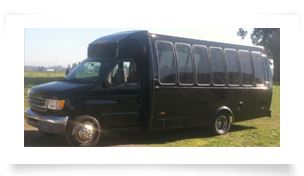 I take great care in using quality motorcoach companies to provide transportation on my tours. I try to always use 47 passenger buses with restroom, t.v., vcr, and stereo on board. Having a qualified, professional driver is of utmost importance. For small groups of under 22, especially on Day Trips, I will use my 18 or 21 passenger bus, equiped with all the above, except restroom. And I also do wedding transportation. Whether a short Day Tour or an Extended Journey I run an organized, upscale company and I do lots of pampering! I am passionate about my company and my company will always do its best to give you the optimum value for your dollar and a most enjoyable time that you will cherish. Quest Tours & Treks Inc.